Click Here To See Batman: Cataclysm #1 Comic Book! 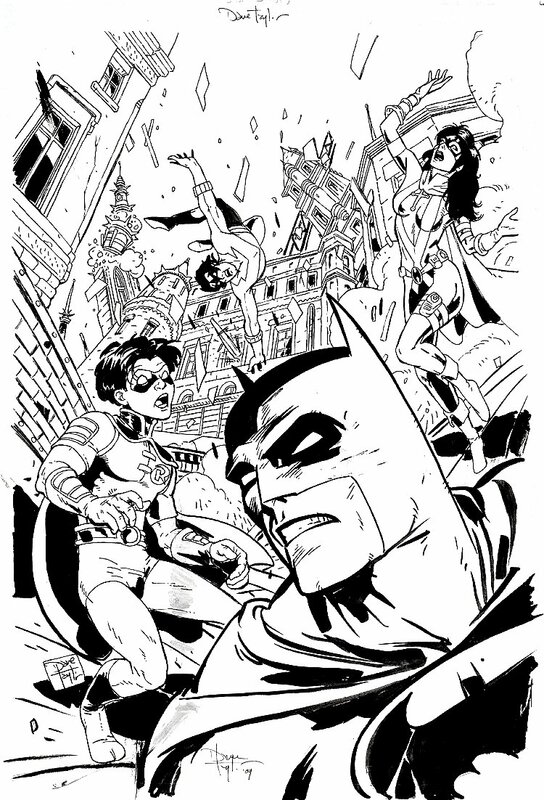 Check out this SWEET 1999 cover penciled and inked by Dave Taylor! 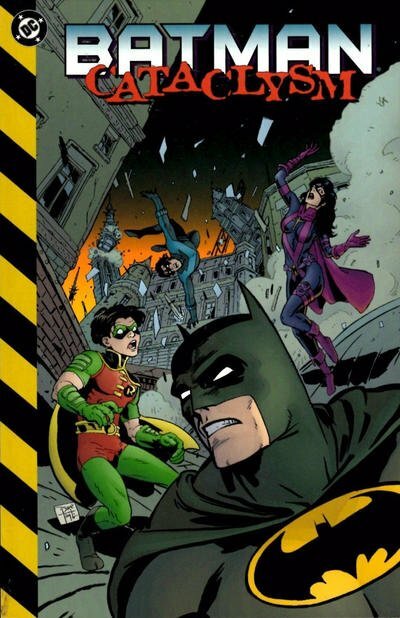 The ENTIRE city is falling apart as Batman and Robin look up as 2 other heroes fall from the sky! Signed By Dave Taylor! Compare this nice cover art to the published comic book in the red link above, COOL!